ACUM alliance made a cheap performance to show the audience that they can't obey their promises. This opinion belongs to yesterday guests of "In the spotlight" talk show on Publika TV. Vitalia Pavlicenco, the president of the National Liberal Party says that ACUM representatives have such requirements on purpose. "They are afraid not to lose their supporters. So, they want to prove that their opponents don't want to accept their requirements", mentioned Natalia Pavlicenco. Valentin Krilov politics analyst considers that this is a reason to evolve the snap election, which are not a good opportunity for our country. "The snap election will cause great costs to our country", declared Krilov. Also, the gusts don't think that ACUM and PSRM will make a coalition. "Each of them have some requirements that are not possible to be implemented. It is just a game. These dialogues are not sincere, especially that some are for the East, while the others say they are for the West", said PNL president. 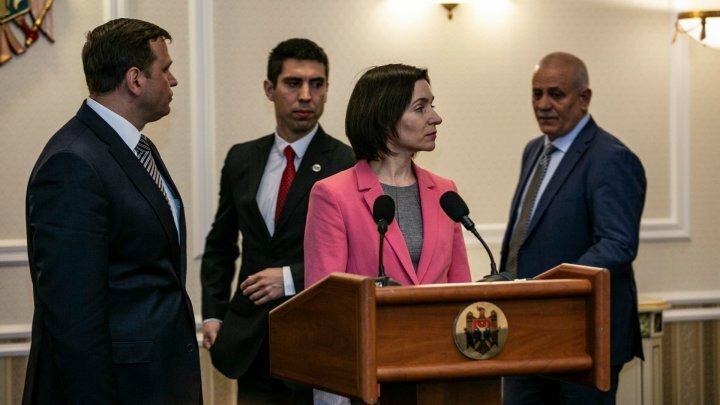 On Friday, after the session of the PSRM Republican Council, the socialists announced harsher conditions to form a coalition and ACUM rejected these. Besides the Parliament speaker office, they want to lead the Foreign Affairs and Defense Ministries. In this context, Maia Sandu declared that she doesn't see a point to talk with the socialists.